Whether its Marc Jacobs Daisy, Vera Wang Princess or that rose body spray from The Body Shop, perfume makes you smell amazing. However, it never seems to last longer than a few hours...if it even lasts *that* long. 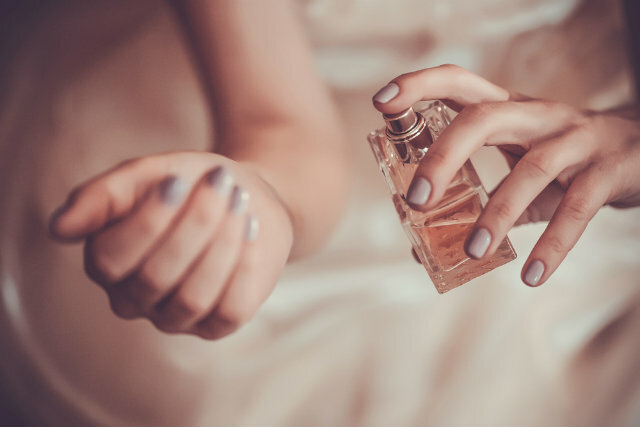 But you don’t need to swap your go-to scent for a different brand just yet because there’s a number of easily fixable reasons why perfume doesn’t last. These simple tricks will help you smell heavenly throughout the entire day. Even though the bathroom seems like the most normal place to store your perfume, the heat, light and humidity will break down your spray and lessen the quality of the fragrance. It’s best to store it in cool, dry spots that are away from windows. Try the vanity or the dresser in your bedroom. If your skin is dry, it doesn’t retain fragrances as well as an oily complexion so use moisturizer to both help with the dryness and lock in the scent. Pulse points are warm areas on your body that will help diffuse the perfume across your skin. They include your wrists, elbows, neck, below your midriff, behind your knees, calves and ankles. As strange as it seems, spritzing your calves and ankles allows the scent to rise throughout the day. Rubbing the ointment on your pulse points before spraying will hold the scent on you longer than your bare skin. Put on your perfume right after stepping out from the shower instead of after getting dressed, because the moisture on your skin will hold onto the perfume. Plus, this will ensure that the spray doesn’t stain any clothes or jewelry. Beauty myth busted! By rubbing these two pulse points together after spraying, you are actually forcing the top notes of the fragrance to disappear more quickly. What's your favorite perfume? Let us know in the comments below!